Walk…or run, to the Jingle Bell Run-slash-Walk Saturday, December 11. You will be doing so in honor of the most common cause of disability, arthritis. The Arthritis Foundation is the leading health organization. Currently, almost 300,000 children and 46 million Americans live with the disease. 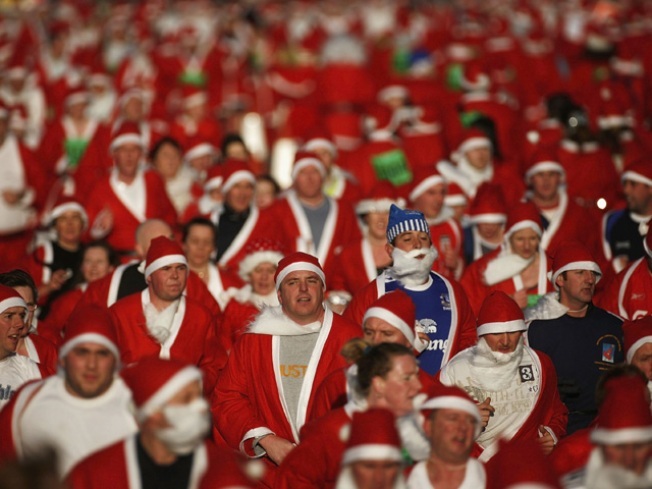 Make sure to don your most festive apparel, such as a Santa hat or bells tied to your running shoe laces. The 5K journey begins at 8 a.m. starting at Balboa Park at President’s Way. There is also a free kids’ run dubbed the “Rudolph Reindeer Run” at 9:15 a.m.
Be the top fundraiser and get prizes like iPods, Trek bikes, and digital cameras. Click here for details.